Join us for three great services on Easter Weekend. 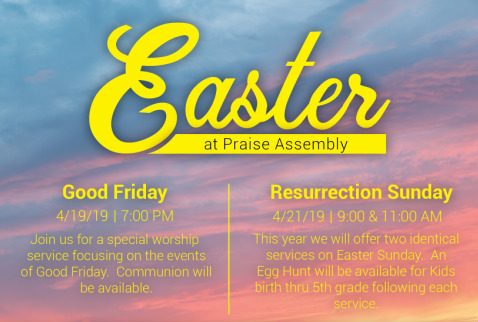 This service will feature worship and focus on the events of Good Friday. Communion will be served. We will have two different service options this year. Following each one we will have an egg hunt for children birth thru 5th grade.